On June 8, 1946, the Allies celebrated their World War II success with the London Victory Parade without Polish colors flying and without Polish soldiers present. Among those attending was Abyssinia, Brazil, Persia, Mexico, Nepal and... Luxembourg (?) After having rendered the Allies momentous service, Poles were excluded from this celebration - and in a deceitful way. ( Read more). Although they had fought on the right side, they had lost. A few weeks after the Parade, painted "Poles go home" signs appeared on walls in England. In addition, the British press took an anti-Polish tone. They had no free democratic Poland to go back to, and they became an army of misfits in the political jigsaw puzzle that was Europe. 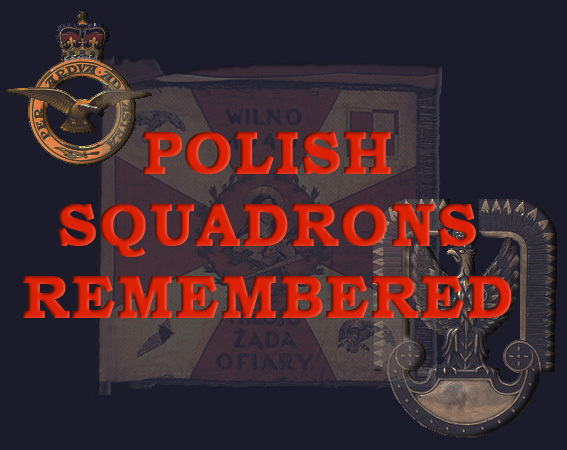 Among them were thousands of Polish Air Force personnel, the fourth biggest Ally air force during the war, which had a lot to show for. Still among them, were pilots who fought during the Battle of Britain, and undeniably helped to shift the balance for the British. To some extent, a certain amount of recognition and credit was bestowed upon them, but it was soon forgotten.